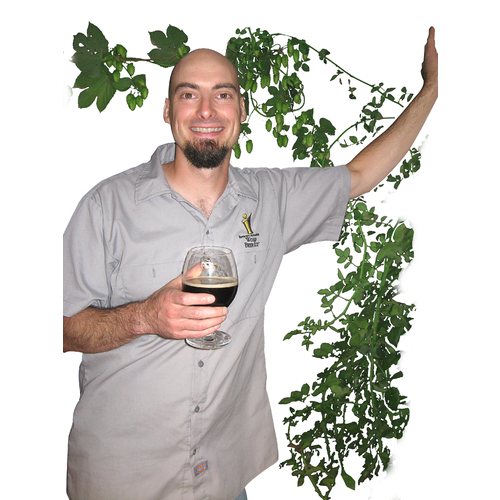 Gary Glass started homebrewing in 1992, shortly after tasting his first homebrew while attending while attending college at Cal Poly, San Luis Obispo. Gary brews on a home-built HERMS system, and he?s never brewed the same recipe twice and can't brew any recipe without some kind of tweaking. Gary is a BJCP judge who has judge in many competitions including the World Beer Cup and the Great American Beer Festival. Gary lives in Longmont, Colorado with his wife Erin, who fully supports his brewing habit,bought him a conical fermenter and is encouraging him to install taps in their family room. He knows you are jealous. Gary is looking forward to teaching his daughter, who is due in November, to brew someday. Gary enlightens us on how to authentically brew his beer: "This recipe can be brewed as either a Maibock or a Belgian strong ale. The beer was originally brewed as a 10.5 gallon batch split into two carboys with yeast slurry from previously brewed pilsner. 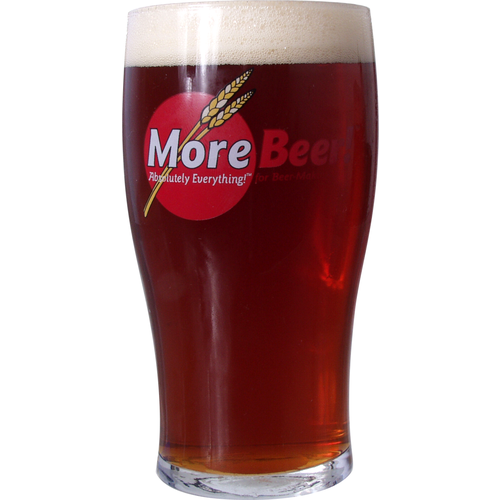 To accurately recreate the Belgian strong ale, one should accidentally pour hot wort (due to user error with a counter-flow chiller) onto lager yeast slurry, being sure to thoroughly cook the yeast. Chill, then pitch a vial of Belgian ale yeast. The Maibock came out great, the Belgian strong even better. Of course, if you don't feel like attempting to cook yeast to make this beer, a nice big starter of Belgian ale yeast should do the trick." Sounds great to us! I’m interested in brewing the Maibock version rather than the Belgian. 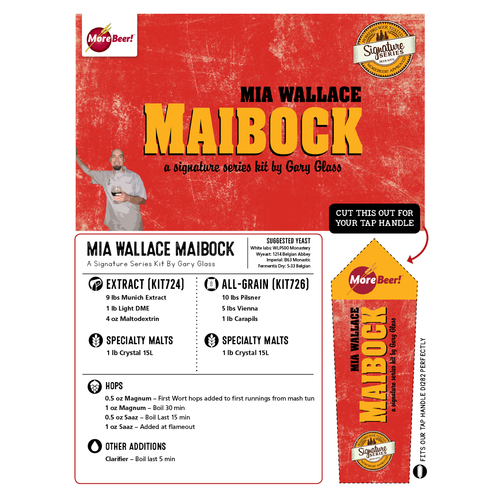 What yeast strain do you recommend for the Maibock? BEST ANSWER: Hello Robert - If I understand the question, and you were looking for a little less Belgian character, I would recommend WY3068 Weihenstephan. 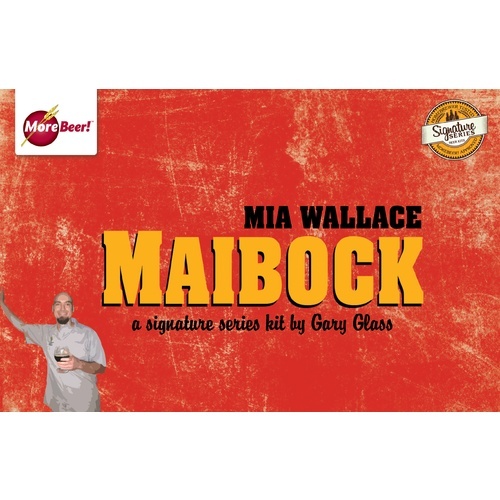 Maibock - Meaning "May" Supposedly drank when the snow is fresh off the German alps and summer is on in the lowlands. Probably meaning it's great anytime. They are right! I have brewed this several times and the flavor is full, clean, and finishes well with just a hint of alcohol . A bit lighter on the palate than a dark bock but has that great German flavor providing a unique spring/summer brew to have on hand. I try to have this in my home bar inventory at all times but it keeps getting drank up! Prost!